Arnold Clark has the reputation of being one of the top SENIOR photographers in the industry. 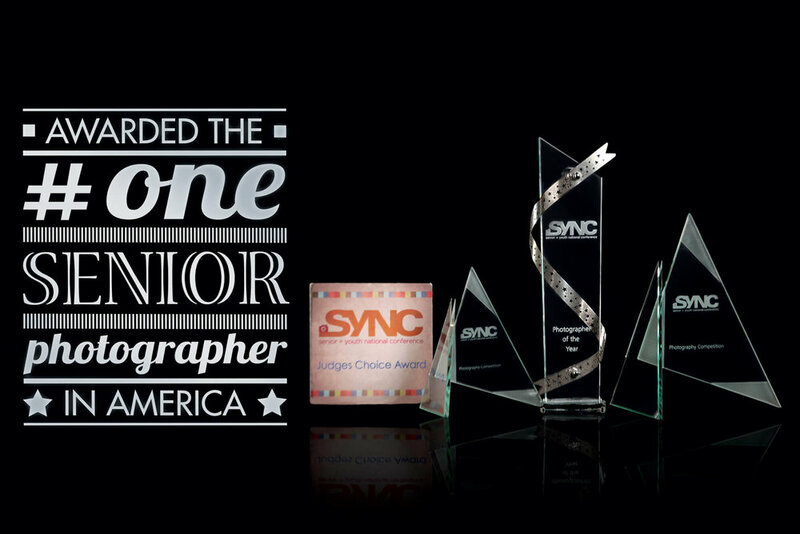 As a privately owned studio for over 100 years, we have earned respect from some of the most admired studios in the nation and from our peers. We strongly believe our SENIOR experience should be a memory to last a lifetime. As such, we invest much thought, time, energy and planning into the entire process. From the initial consultation to the photo shoot to the viewing and selection of the portraits, our mission is for our SENIORS to love their experience. You can anticipate fun, laughter, giggles and be ready to be in awe of the finished product. When leaving our studio, you will feel you have experienced the beautiful you that you really are! What our seniors can expect is the most current trends and exclusive sets in photography, expertise in the technical aspects as far as posing, lighting and design and a photographer who has a style so unique that all natural expressions are captured masterfully. Arnold Clark is called upon to consult with and educate our colleagues at many events. Experience is everything. Nothing is better than an original. An original is always considered of greater value than duplications or imitations. This same idea applies to your Arnold Clark portrait. You can travel from North Carolina to California, Florida to New York, and even go overseas and notice portrait photographers styling their work as close as possible to Arnold Clark. The popularity and distinctive look of an Arnold Clark’s portrait style of portraiture has been so successful that it has evoked “knock offs” everywhere. Some of the world’s leading photographers have reported that the Arnold Clark style is today the most revered and copied style in the world! With that said, it should not be a surprise that our portrait style is also widely imitated here in Omaha, but let’s face it; nothing speaks like an original! There is a difference even a novice can see. Your clothing selection is key to achieving your desired outcome and style. Our well trained and friendly staff are the best in the industry. Everyone at Arnold Clark is completely motivated to make your experience here a memorable one. Your time here, from the day of your session until the unveiling of your final order, should be exciting and worry-free. We like any reason to celebrate, life’s too short not to have a little fun. If you get your senior photos taken on your birthday, we will give you a free Arnold Clark sitting and you might get to enjoy your photographer’s best rendition of HAPPY BIRTHDAY! Arnold Clark's work has been featured in several national and local publications for its trend setting style and amazing quality. Known in the industry for being leaders of all things business, Arnold Clark is often asked to present at some of the biggest stages in the Photo Industry.